Since you’re going to be building a business that recommends CBD oil products, the very first thing you must do is find products that you believe are of high quality. With just a few Google searches, you can find reviews from various websites and individuals that will help you determine which CBD oil companies offer the best products to their customers. When you’re looking at different products and companies, try to select at least 5 to 7 different companies whose products you would be willing to recommend. This will allow you to have a variety of different products and programs to choose from as you move forward with your business. Before you get started looking into the actual products available in the CBD oil marketplace, it’s important that you know what products you can promote in different areas. For example, in the United States, CBD Oil availability is different on a state-by-state basis. At the federal level, in the United States CBD Oil is still illegal to own. 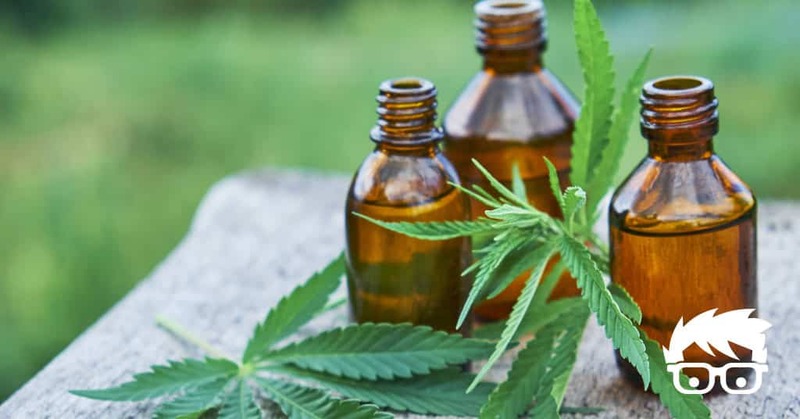 At the state level, many states now allow CBD Oil to be sold and traded openly without a prescription while some states require a prescription and a few states don’t allow CBD Oil whatsoever. Another example is that while recreational Cannabis is legal in Canada, some products can’t be sold there. Products such as those offered by HempWorx are not allowed to be sold in Canada. Before you get too far into launching your CBD Oil business take some time to learn what products you can sell in what areas. This way you can avoid the frustration of thinking you found the perfect product only to discover that you can’t sell it to very many people. There are affiliate programs for just about every industry on the planet. When you investigate CBD Oil affiliate programs, you’ll find that many of them offer very generous commissions. Even better, several CBD Oil affiliate programs offer weekly payouts which means that you won’t be waiting long to receive the commissions that you earned by recommending CBD Oil products. So, how can you find some of these great CBD Oil affiliate programs? It’s all just a quick search away. Take the list of companies that you found and add the word affiliate program to them in a Google search. By doing this, you should be able to quickly find CBD Oil affiliate programs for several of the companies that you listed before. If you can’t find their program, move on to the next company as some may not offer affiliate compensation at this time. Don’t be afraid to check with those companies again in the future as many are just now beginning to offer affiliate programs. Make certain when you’re looking for different companies to affiliate your business with that you are looking at affiliate programs and not some of the many different “business opportunities” for CBD Oil that exist online. 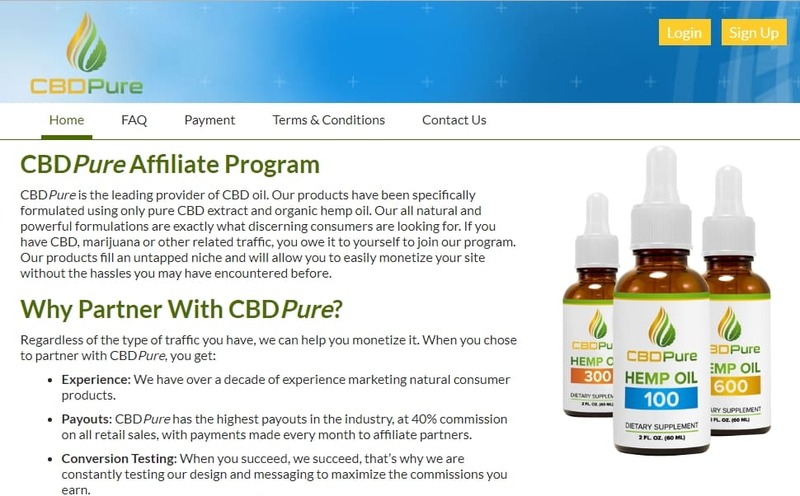 While there are quite a few different affiliate programs available for CBD Oil products, there are also some companies out there who are claiming to offer a business opportunity that may not deliver the best experience for you. For example, the HempWorx company at first glance appears to be an affiliate program. After looking at the company in more detail in my HempWorx review, I found out that instead of being a CBD Oil affiliate program, HempWorx is an MLM that charges money for you to be able to sell their products and sign up additional members. If you’re struggling to find CBD Oil affiliate programs, there are just a few listed below that may be able to help you along your way. Make certain that you take the time to check and see what type of reputation their products have by looking up other user reviews before choosing to work with any specific company or affiliate program. Now that you’ve chosen the CBD Oil products you’re going to promote and the affiliate program that you’re going to promote them through, it’s time to figure out exactly how to attract people to your new business. Getting people to see your recommended products may sound like a big challenge and it can be. The key is to learn how to find out what people are looking for when it comes to CBD oil. This can easily be done by learning just a little bit about keyword research. Simply put, keyword research is a process that you go through in order to determine what people are typing into search engines like Google, Bing and Yahoo. Knowing what people are searching for will give you the ability to provide them with solutions to their problems. While this may sound very complicated, it really isn’t. If you take the time to find a quality training program, you can quickly develop the skills that will teach you how to determine what people are looking for online. Once you’ve learned how to identify keywords that you can use to get in front of people online who are wanting to buy CBD Oil, it’s time to move on and get your business up and running. Now that you have all the pieces required to get your CBD Oil Online Business ready for launch, it’s time to open the doors to your new business. You’re going to do this by creating a website. On this website, you will create content that helps people who are searching for the keywords you discovered. In this content, you will help people learn more about CBD Oil, its benefits and where to buy it. Best of all, you can have a CBD Oil website online in less than an hour. Once you have your website online and ready to go, it’s time to move on to the most exciting part of running a CBD Oil business, making money! If you’re a little confused about how a website will make you money, it’s okay. Many people don’t understand the potential that running their own affiliate marketing business has when they first learn about it. So, how exactly do you earn money from a website about CBD Oil? You make money when someone clicks a link on your site that goes to one of the companies you picked. If they decide to go ahead and buy one of the products you recommend, you receive a commission on their purchase. It really is that simple. You don’t have to worry about keeping inventory, buying products or trying to meet customers face-to-face. All you must do is create quality content that focuses on the needs of people looking for CBD Oil and then help them to find a product that will meet those needs. You do all of this through your website content and earn money when people make purchases of other products through companies you’re affiliated with. Are You Ready to Launch Your CBD Oil Business? Understanding some of the things that I mentioned above about running your own CBD Oil business may be challenging. That’s completely understandable. Before I got started with affiliate marketing and running my own businesses online, a lot of these concepts were very foreign to me as well. The good news is that I found a quality training program with a community of people who are willing to share their knowledge and help you out whenever you need it. If you’re ready to get your CBD Oil business up and running as quickly as possible and check out my top recommended program. You can be up and running in less than an hour by following the training and using the awesome resources that this program includes. CBD oil is getting really famous nowadays so I was thinking about starting an affiliate business based on CBD oil. I am glad that I found this article because this article has step by step instructions about making money by selling CBD Oil. This article explains about finding a quality product, finding an affiliate program, keyword research and a lot more about this niche. I am going to follow these instructions and start my program. The instructions were really easy to understand and read. Thank you so much for posting this article. What an interesting idea and a niche I would have never thught to promote. I find the advice really appealing and worth having a look. It is so difficult today to find a new idea that stands out from the masses and makes your niche really special. Thank you for the information and the ideas I will certainly look into it. I’m a newbie in online business and I just created my site and I have been really searching for how to make money from it. Thanks for sharing this informative and educative post on CBD oil, this article has really been of help to me because I now know the step to take to earn money, I think selling CBD oil is the perfect step for me to take. Hi Jay thanks for this very informative blog. I love the example you have used to explain the whole affiliate marketing arena as there are so many scams out there you are not sure who to believe. The way you have explained it just makes so much sense. I also believe this is going to a be a product of the future so will be keen to explore your recommendation. Thanks for sharing. Hi Jay, I hear you. I really wanted to create a niche site selling CBD Oil because I believe the potential is astronomical. I’m seeing lots of people have success with it. Alas, I am in Australia and everything I have looked at so far doesn’t allow me to be an affiliate or sell products within Australia. Some of the companies I’ve looked at as well have weird policies about how you can promote it, and some don’t like you setting up a promotional so I would caution people to read the policies of their potential organisation thoroughly. I think that’s because some of them are MLMs like you’ve said. I’ll be checking out the affiliate programs you’ve listed Jay and hopefully I have a little more luck with those. It really does seem like a lucrative market and I want in! These two points as well as the CBD oil info were of the most benefit to me.Thanks Jay,great article. Great piece. Working with the best affiliate that are legit and encouraging is the best. CBD oil is one of them. One of the best way to make smart money this year. Yes the fact is cannabis products are not allowed in all countries. In fact its even very worse in Nigeria where I came from. Can one promote this product from Nigeria and target US and Canadians? In all thanks for your eyes opener article. This is a very good information, I have been researching on what products to sell online to make money , am happy this came up, thanks for all the steps you’ve written, I already know my laws for CBD oil and I know is going to be a good market for me. Thank you for this knowledge. I was actually approached by someone to join one of these companies that market CBD oils and products. I checked it out and joined their “affiliate” program, only to find out that it was based on network marketing. Now don’t get me wrong, I have nothing against network marketing, but it’s really not my cup of tea! I would rather use your method and attract someone to my offer using SEO rather than chase after people to be in my “downline”. That being said, what I also like about your approach is the ability to create and not promote to a pre-written and shared “webpage” that has thousands of members are already promoting with. I have checked out a few of the links you have shared here and they all have their own unique advantages. I will be looking into them further. The reason for my comment here is that I am thinking of starting a new website based on CBD only and all the health benefits it has. What would you suggest, that I chose only one brand and promote only that one brand or should I go and promote more than one brand on the same site? Thanks for shearing this all important information about making money selling CBD oil. More and more people are getting aware of the importance and health benefits of CBD oil, This inturn is creating lots of opportunities for entrepreneurs willing to delve into the Hemp oil and allied products niche, The market keeps expanding.This article is a startup guide for anyone interested. Wow…This is an eye opener, There are tons of product to promote as an affilaite, but sometimes you’re just not sure what to promote. Information overload. With the help of this you can easily decide whether or not you should promote this particular product. CBD oil it is! Thanks for the good info, Jay. As always! My first question was “what is CBD oil?” Although I’ve heard of it lately, I didn’t know exactly what it was. But a quick google search got me informed! Nice post, and very informative. It’s not a niche I’m personally interested in, but given your excellent advice and tutorials in the past, it’s always worth trying to learn from your excellence. 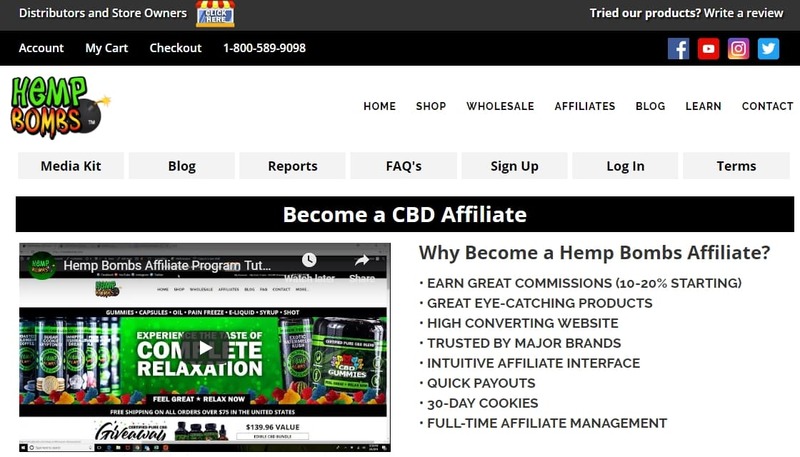 Was looking for some CBD online business opportunities when I came across your site. When Canada passed the law in October last year, I thought it was a green light to sell all types of cannabis products. That doesn’t seems to be the case when you mentioned HempWorx. I am wondering if you know of any government websites that I can counter check for product legality, before diving into their affiliate programs. Thanks Jay! The hempworx MLM made me cringe for sure. i’m not against MLM products but, I am long past my days of over charging people for products (no matter how amazing) and having to figure out how much I personally have to buy each month to get commissions. <~~ NoT speaking about HWorks directly but, MLM in general. I’ve debated CBD as a niche site project for months now. Maybe I should give it a go. I have direct sources I wanted to work with but, the hippies (<3) seem to be dragging their feet so, if I decide to move forward I’m going with a lesser known company that provides discount prices to veterans, the very ill and even their general masses prices are a sight better than most pop-up companies I’ve seen. CBD is getting big, fast. I started promoting a company called Absolute Nature CBD. High standards, transparent, offer a veteran and long term sick assistance program. 60% off once approved.  Their affiliate program pays out 20% and offers unique coupons for your business to offer your readers a nice little discount too. I wholeheartedly recommend them, they’re not to big, super supportive, quick to help and have amazing products. Don’t wait to long before you start, another year down the line and new sites will be lost in the ether. Thanks, Jay, for this informative post on how to get started selling products online. Staying ahead of the curve is an important strategy for all sales personnel. In Canada, a new market opportunity has recently been created with the legalization of recreational marijuana. New markets are for the brave, and you present a program of training on how to achieve success in this niche. Training is absolutely necessary to achieve success. Of this, I have no doubt, but I am concerned as a Canadian, about crossing into the United States if I had a successful “marijuana business” in Canada, that could easily be accessed by a “concerned” and perhaps “ambitious” border agent, as he casually scrolled through the content of my SmartPhone. He may be led to believe, that I was a purveyor of illegal substances to his country. Have you considered the implications of starting such an online business? Are business rules the same for “online” businesses as they are for “brick and mortar” businesses? While I appreciate the value of bravery, I sometimes feel like the cowardly lion. I will be looking into your training program in greater detail. I believe that the online marketing world is both challenging and lucrative. It certainly shows that you care about your online presence and reputation. I will be doing a review of your affiliate program very soon!